Mila VujiĂ¦, a member of the European Movemnet in NiĹˇ, presented her book on 24th Septembar 2009 at 8 p.m. in the City Library. At the beginning , a folk dance group called " Arhaik" condacted by Markov Radovan took part in the performance. The guest were SrĂ°an Ă�orĂ°eviĂ¦-the Youth Council representaive from Zrenjanin ; Vladimir Vasiljev - the manager of the City library and Nikla Ĺ lajh - the president of the European Movement in Zrenjanin. The author of the book and a famous actor Irfan Mesur , took part in the presentaion as well.The audience was full, and the book was accepted well, especially by the young people who came to the presentation. Everyone was given a book, written under the sponsorhip of the Ministry of Youth and Sport, as a token . 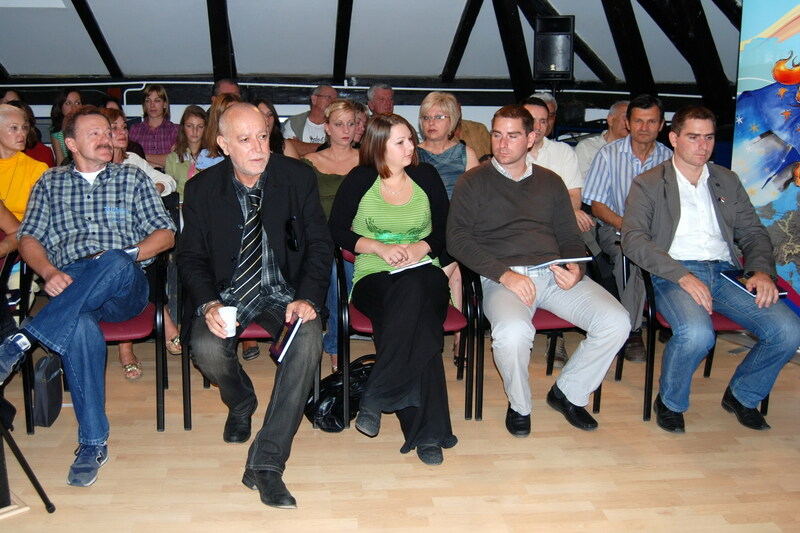 The media forum organised by European movement in Zrenjianin and the Konrad Adenauer Fobdation , was held in The Culturat Centre . The ost important media representatives of the town, took part in it , meaning - two TV stations , TV Santos and KTV . The representatives of the local radio stations and the press were also there. Visiting guests were: Zoran PanoviĂ¦-a journalist talking about - the influence of the local authorities on media ; Ă�orĂ°e VukadinoviĂ¦ - a political analist talking about - The Media between the political and economical pressure; Mario Brudar- a representativeof RRA talking about the law concerning the media . The host of the tribune was Aleksandra PopoviĂ¦ from Konrad Adenauer Fondation. Within the Romanian project -The Cultural Map of Banat - the Romanian team ,consisting of 48 experts coming from different areas connected with cultural tourism, visited the Serbian part of Banat for the purpose of gaining knowledge about the rout of the travel and its connecting with the Rumenian part The experts visited Kikindu, Zrenjanin, PanĂ¨evo and VrĹˇac. Most of the time , thez spent in Zrenjanin, where they went sightsing and visited the oldest theatre in Srbia , the Museum, The City Hall, the Modern Gallery , the Art Gallery and the Castle EĂ¨ka. "Serbia + EU = 100 why, 100 because"
European MOvement Zrenjanin and Zrenjaninske since June have started regular kolumn called "Serbia + EU = 100 why, 100 because". The aim of this kolumn is to answer to the citizens questions regarding European Integration of Serbia, and all that awaits for us in forthcomming period. The end off campaign "Serbia in EU, what do I get, and what does my city ZRENJANIN gets?" 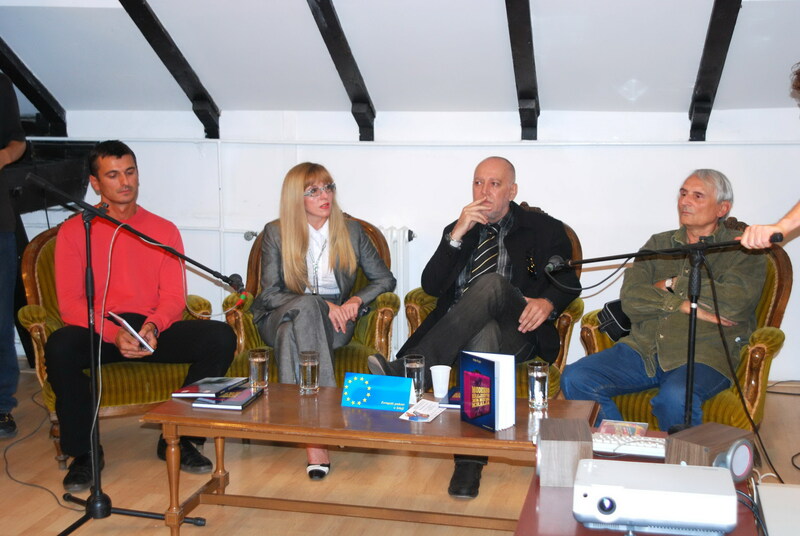 European Movement in Serbia, Local council Zrenjanin, on may 7th, organised the last discussion in a roll within campaign "Serbia in EU - What do I have from it, what does my town has from it?". Theme of the discussion was Youth - mobility an funds for youth. European Movement in Serbia, Local Council Zrenjanin has organized a tribune within the campaign "Serbia in EU - What do I have from it, what does my town have from it?" 22 April 2008. European Movement in Zrenjanin has within campaign "Serbia within EU, what do I have from it, What does my town has from it", organised another round table. This time the theme was Regional development and decentralisation. "Serbia in EU, what do I get, and what does my city ZRENJANIN gets?" European Movement in Serbia, local council Zrenjanin since 2004 is organising humanitarian courses of English language. 600 trainees went through these corses and all of them have finished these courses succesfully. These courses are part of the "Comunication Zone" project wich EMinS Zrenjanin has being conducting for 6 years.